Who would have expect the Boston Celtics to reel off 10 straight wins after the devastating injury to forward Gordon Hayward? 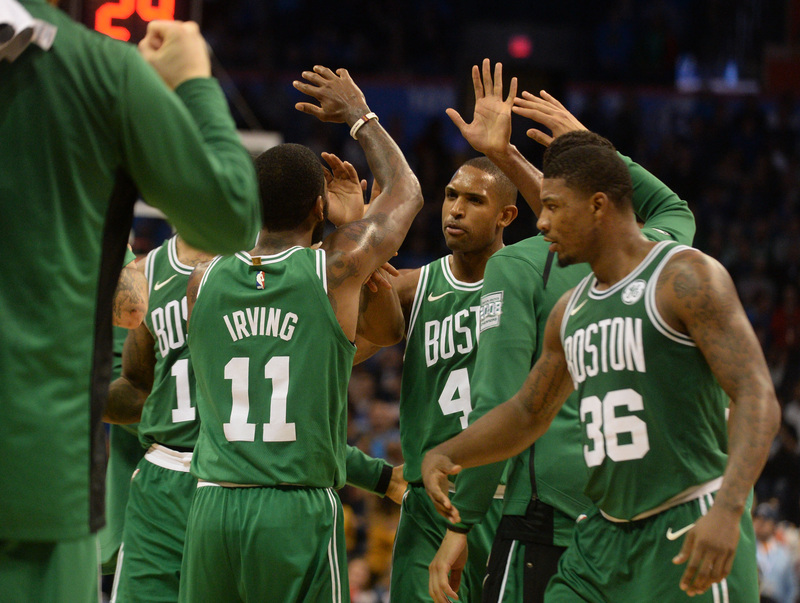 The Celtics are top of the Eastern Conference and own the best record in the NBA. Boston will be in action on Friday night against the Charlotte Hornets in one of the big games of the weekend. At 10-2, Boston has been great despite losing Hayward. The Celtics are giving up the fewest points of any team in the league. Opponents are scoring just 94.6 ppg. Boston is 4-1 at the TD Gardens. Meanwhile, Charlotte is 1-5 on the road. Don’t expect the Hornets to come away with a win in this one. Despite the hot start, Boston isn’t one of the top five favorites to win the NBA title. The team currently has futures odds of +1400 to win the NBA crown. Prediction: Boston should beat Charlotte with little difficulty. There is a reason the team is top of the ZCode System’s Power Rankings. The Celtics are just plain good. The Thunder haven’t started the season well, and have been incredibly inconsistent. The team maybe allowing the second fewest points per game (96.8), but the team is near the bottom of the league in scoring (102.5). Russell Westbrook, Paul George and Carmelo Anthony are all three averaging 20 ppg. But that’s the problem, only those three players are scoring regularly, and the team is reliant on the three stars. Westbrook has been the NBA scoring champion in two of the last three seasons, but this year he is well off his previous averages thanks to the additions of George and Anthony. The Clippers are 5-5, and led by Blake Griffin (22.8 ppg). The Chris Paul trade is still fresh in everyone’s mind, but the Clippers need to find a way to win now. The star power in OKC’s lineup should be too much, however. Prediction: The trio of Westbrook, George and Anthony should be too much for the Clippers. ZCode System’s Scores Predictor has the Thunder winning big, and there isn’t much to argue that won’t happen. The Spurs are playing their typical basketball despite the injuries to Kawhi Leonard and Tony Parker. The team is still winning and has won three straight games. The Bucks are under .500, and have lost four straight games. The team has a -3.3 points differential, while San Antonio has a 1.1 scoring differential. Prediction: The Spurs should win at home even with Leonard behind schedule in his return. If the team can continue to win, the Spurs should be even better when their star is back. The Piston and Hawks are going in opposite directions. Atlanta has started the season in awful shape, winning just two of its first 11 games. The trade of Dwight Howard may be coming back to haunt the team already. Meanwhile, Detroit has won eight of its opening 11 games and sit in second place in the East. The team is playing like other classic Pistons’ teams, giving up just 100.8 ppg. That figure makes Detroit the eighth stingiest in the Association. The Hawks are -7.4 in points, and give up the third most in the NBA per game. Prediction: With Detroit’s solid defense and the Hawks’ woes, the Pistons should run away with the ‘W’.